At the heart of any good team, is a good defence. You only have to look as far as the rearguards of some of Sligo Rovers finest hours – Chris Rutherford and Tony Stenson in 1977 and 1983, Gavin Dykes and Declan Boyle for the 1994 treble, Gavin Peers and Jim Lauchlan for the 2010 cup double – and that’s just the centre-backs! 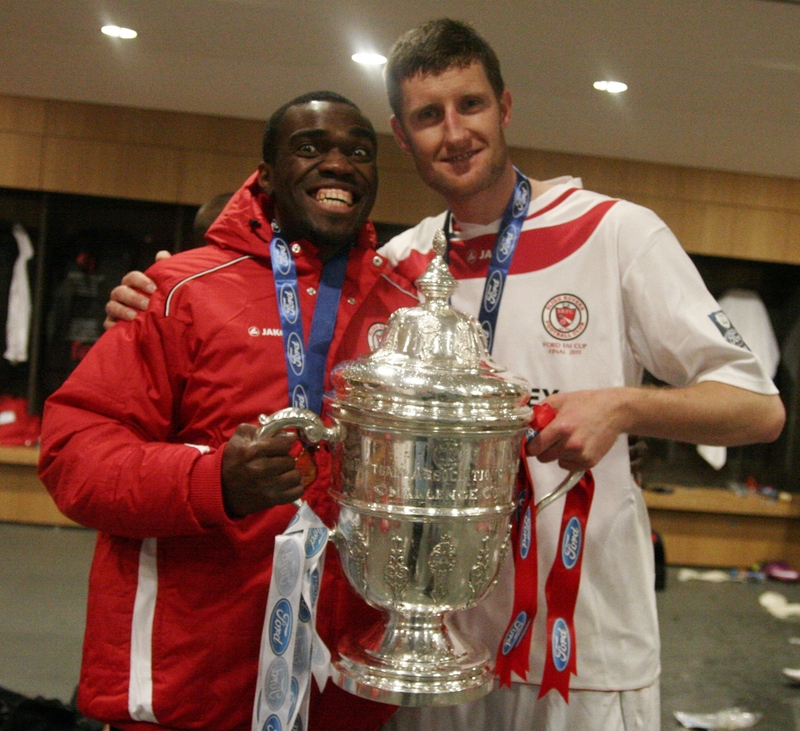 Peers would forge his second memorable partnership at the back in 2011 with the signing of Jason McGuinness. Following severe financial problems, an exodus from Bohemians had begun at the end of the 2010 season. McGuinness was one of many players seeking a new club and it looked for all the money in the world that he would remain in the capital, or at least ply his trade as nearby as possible. One persistent Liverpudlian however was determined to convince the defender that he would enjoy a change of scenery in the north west. McGuinness recalled his teething problems during the early stages of the 2011 campaign and how some simple injury management eventual resulted in him hitting top form. For the full interview with Jason, see this week’s Sligo Weekender newspaper – in shops now!